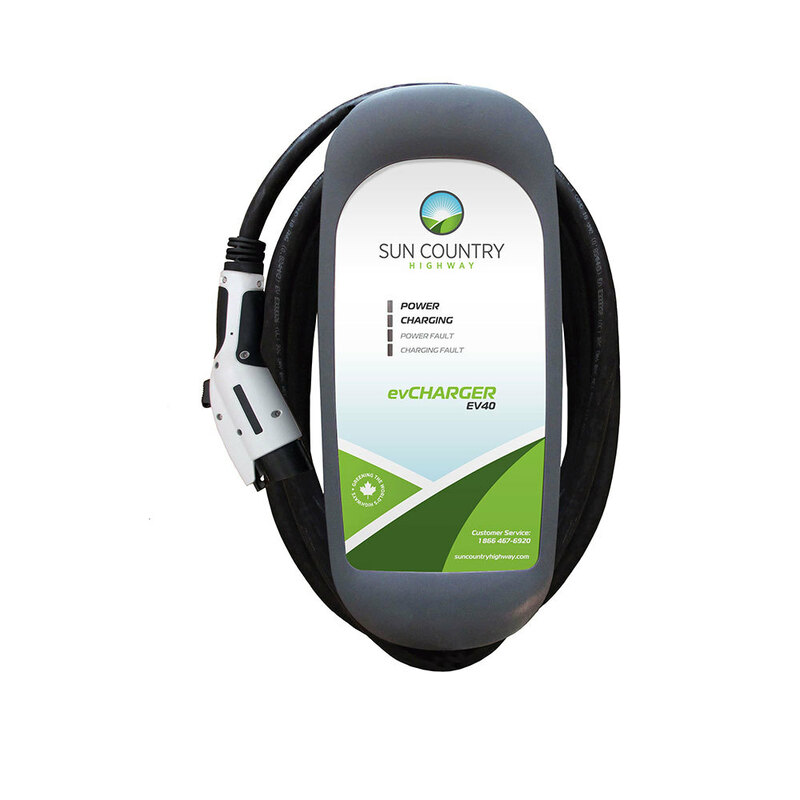 Sun Country Highway’s EV40 charger provides high quality and high power at a low price. 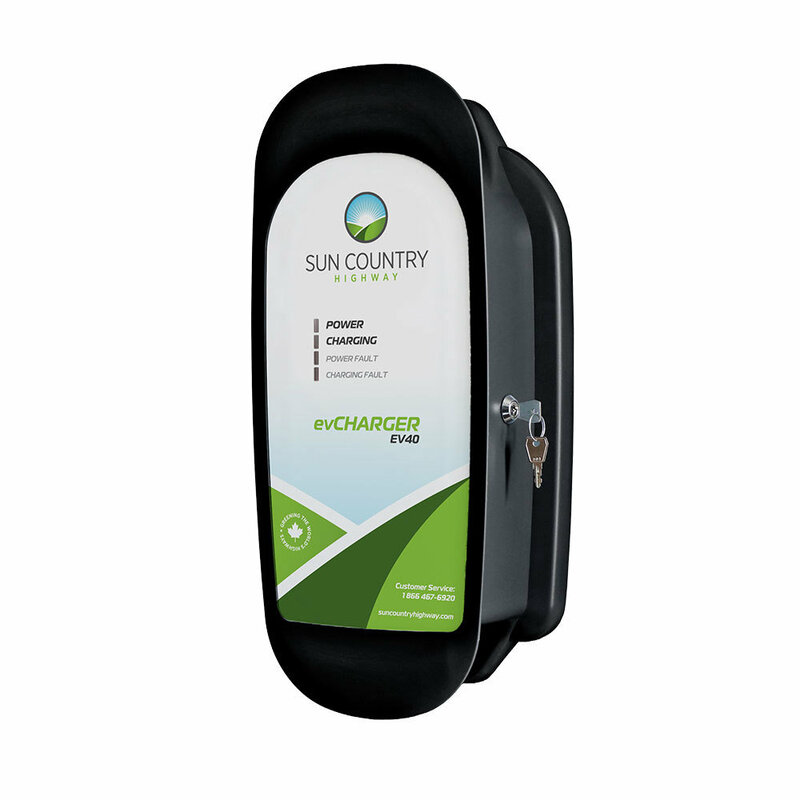 The charger’s tough NEMA 4 enclosure is designed to take the wear-and-tear of everyday use in all environments, indoors or out. Built and tested to automaker standards, the EV40 ensures a reliable charge, every time. Unit comes with ChargeGuard access control pre-installed. Users will require a key to begin charging. Charger bundle is complete with 25ft of cable and holster.